Here is the quick list of the top 6 dating sites in Germany. I’ll go into more detail in my reviews below. Germany has a gigantic online dating scene. Much like the United States and Canada, this country has an enormous assortment of online dating sites. You can find good sites in pretty much any niche. However, in this article, I’m going to discuss the best online dating sites in Germany for mainstream daters. If you’ve read my other articles on online dating around the world, you know that I normally have long descriptions of the various dating sites I recommend. I will keep it short and sweet for Germany because I know your time is precious, there are so many sites to choose from, and I want you getting out there and getting telephone numbers as quick as possible. Without further ado, here is my detailed analysis of the best dating sites in Germany. EDarling.de is the best online dating site in Germany if you are 35+ years old (if you are in your 20s or early 30s, continue on to the #2 site below). It is widely considered the most important dating website across the whole of Europe. 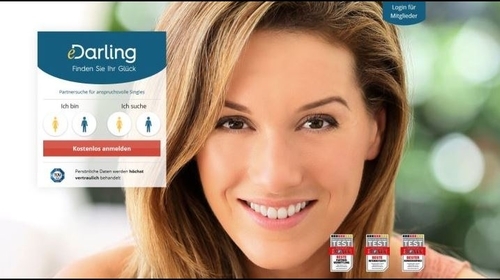 eDarling is another personality-test driven dating website for residents of Germany. eDarling is owned and operated by the same people behind the US website eHarmony. Therefore, a lot of the features you would see on eHarmony, you would also get on eDarling. A site with more women than men, there is no specific type of single person for the site as people of all ages are on there surfing for dates, although a majority of the members are over 35, as I mentioned before. eDarling is clean and professional, runs smoothly, has over 2 million members and employs a great matching system based on a lengthy, detailed personality test. The only drawback is that you’ll have to pay for a premium membership to do much of anything on the site. Bottom-line, if you’re serious about finding a quality match in Germany, and you’re willing to pay, eDarling is a must-try site. To start, select your gender and match gender, email and password. Next, complete eDarling’s personality test, which takes 30-40 minutes to complete and includes around 200 questions about your feelings, values, interests, passions and basic information. Once you’re done with the test, upload a photo if you like. Once eDarling is finished calculating your matches, you are free to browse around. There remains quite a lot to fill out in your profile, however, including 12 sections to write about yourself (What my partner should know about me, etc.) and a section to select what habits and traits you would like and dislike in a partner, choosing 10 for each from a long list (e.g. “My partner should be gentle and friendly” and “My partner should not see themselves as a permanently pitiable victim.”). eDarling takes a unique approach here, as there are no standard search or browse features. Rather, eDarling uses complex computer algorithms to compare your test results with those of others on the site, to recommend matches to you daily. eDarling limits you to 7 new matches a day, and as a free member, you can view almost everything in the profiles of your matches, including their personality reports. Unfortunately, you cannot see their photos. As a premium member, you’ll get to see 20 new profiles a day as part of the “What If…” feature. Premium members can also send basic text messages to each other. eDarling’s personality test is truly top-of-the-line. It was developed by expert psychologists to measure 29 aspects of your personality, and upon completion of the test eDarling provides you with an in-depth Personality Dimension Analysis. This analysis compares your levels of Conscientiousness, Agreeableness, Openness, Extraversion, Neuroticism to the average of other members. Like I mentioned in the opening, if you have ever used eHarmony, the site is very similar except it’s in Germany. The site is really for those who are more serious about finding someone and not for a simple hookup. The personality questionnaire is time consuming and can be a pain, but once you finish it, you feel better about the matches they give you, and it’s interesting to see what other members answered in comparison to yours. If you’re in Germany or into German men or women, it’s definitely worth the investment, provided you want to find the future love of your life. LoveScout24 is the second best online dating site in Germany. The site was started in 1997 under the name People United. LoveScout24 is available to users in Germany, Spain, Holland, Italy, France, Switzerland and Austria, with around 1 million active members in Germany alone. This site is available in the native language in each of these countries, but is not available in English. What’s more, the site uses advanced security features to check your IP address location and keep you from registering if you’re not in one of their supported countries. LoveScout24 also seems to repel Google Translator for some reason, which makes it difficult to navigate. If you live outside of Europe, and/or only speak English, this site will be a hassle. But if you are located in one LoveScout24’s supported European countries, and you speak the language, this site is worth checking out, as it has solid features and thousands of quality profiles to look through. Sign up is quicker than it seems. Enter your gender and the gender you’re looking for in a match, your birthday, username, password and email address to begin. 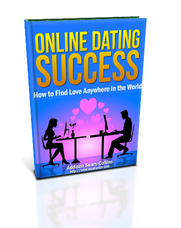 From here you’ll be prompted a number of questions about yourself and your ideal match. There are around 20 questions, which you can answer now, or later if you like. To start browsing profiles, simply click on the tab for searches and start browsing. For Advanced searches, you have numerous filters to choose from when creating your search, to ensure that you find that perfect match. Searches can be saved for convenient later use as well. You can look through profiles who are looking for matches that fit your own criteria. You can also give the Shuffle feature a spin. This is basically a Tinder-like feature, in which you’re shown random profiles to like or dislike, and both of you are notified when there’s a mutual match. To open communication with a potential match, you’ll first have to upgrade to premium. Then you can start things off with a “smile”. From there, you can move on to actual messages, which unfortunately are text only. You can also start live chats with other online members, also text only. Users can also filter who they receive messages from, and block up to 100 members. Two features stood out to me on LoveScout24. First, there is the once-a-week email you’ll receive, containing a statistic summary of your profile’s activity, including how many profile visits you received, how many messages were sent and received, etc. If you’re a busy online dater, this will be helpful in keeping track of all your activities. Second is the #LoveYourImperfections portion of the sign-up process, where you select two of your imperfections to stand proudly behind. Personally, I am a Night Owl, and I love to eat! This was a small feature, but refreshing to see because so much of online dating seems to revolve around trying to impress and seem as perfect as possible to attract the ideal mate. Parship.de is a good third choice if you’ve run out of options at the site above. Parship.de is the German version of Parship, a dating website that was originally launched in Germany in 2001 and went international in 2002. Parship is now available in many European countries (England, France, Holland, Italy, Spain and Sweden), and Mexico. Parship is a serious dating website, built around a strong matching system. Signing up requires a lengthy personality test, and your matches are based on your test results. While some may be turned off by the time commitment this test requires, I personally love tests like these. If you live in Germany, and you’re seriously looking for a partner, take a look at Parship. Start with your gender, your ideal match gender, email and password. After this, it’s time for the PARSHIP Principle, a scientific questionnaire that will take you 20-60 minutes to complete, depending on how well you know yourself and how quick you normally are with personality tests. This test is mostly made up of multiple-choice questions, but also includes more abstract sections like spontaneously choosing your preference between two abstract images, or picking a title for a dream-image. This test serves as a great barrier-to-entry, weeding out people who aren’t serious about dating. And shockingly you are only done with 35% of your profile after completing the test! Unlike most other dating sites out there, Parship doesn’t have a straightforward search feature. While you can see who is online, or who last logged-in, and you can filter your matches by some basic information, the main focus is on Parship’s partner recommendations. Parship compares your test results with other matches, and shows you a compatibility score for each profile. This score is summarized by “Matching Points”, of which my highest match had 113. When browsing through matches, you’ll quickly notice that you can only see blurry photos to begin with. Users either have to explicitly give others’ access to their photos or upgrade to premium to see photos made public. You also don’t see names to begin with, just their occupation (e.g. Nurse, Marketing Executive, etc. ), though you can take notes or give profiles nicknames to help you differentiate them. To contact other members, you’ll first have to complete at least 50% of your profile. Once you’ve done that, you can add them to your favorites, release your photos to them, or send a compliment (small thumbs up button), a Smile, an “icebreaker” message (mini multiple choice questionnaire), or a text message. Beyond these basics, you’ll communicate a lot to every profile that visits you without saying a word, simply because Parship’s profile compatibility reports are so detailed. While matching systems can be found on many different dating websites, Parship’s shines as especially impressive. 40 years of research are behind their detailed compatibility test, developed by a Hamburg University Psychology professor. Premium members gain access to their full test results, a whopping 40-page psychological evaluation. But even as a free member, I was pleasantly surprised how much information is available to you. I read through my test results and learned quite a bit about myself, how I work in relationship, and what kind of partner would fit me well. I also found the comparisons between my results and those of other profiles helpful, detailed and illuminating. Parship is so confident in this matching system that they offer a Contact Guarantee: If you have not successfully made contact with another member within 6 months of signing up for a premium membership, you’ll be given another 6-month membership for free. The Parship app is available on both Apple and Android platforms, making it accessible to just about everyone. The most powerful and unique feature of the app is the Parship test, which is proprietary and specific to this app. By working with this unique testing system, Parship can bring something new to the table that other sites can’t. 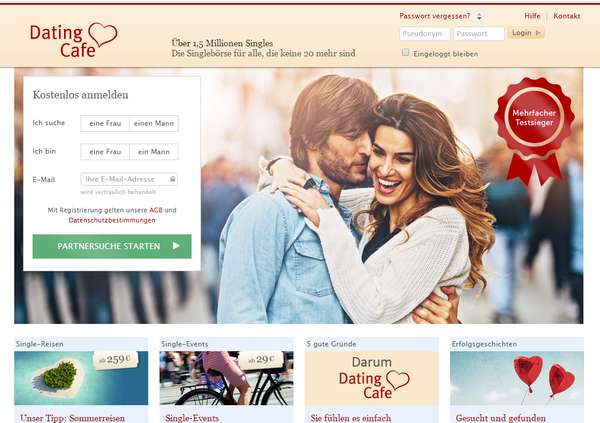 Launched in 1998, DatingCafe is a dating site for German speakers in Germany, Austria, and Switzerland. It is a well-designed website, albeit minimalist compared to a lot of other dating websites I’ve tried in the past. Nevertheless, it is packed with quality features. There is a lot to play with on this site. If you speak German, and you’re looking for German-speaking singles, this site is worth giving a try if you’ve run out of options at the sites above. To start, enter your gender, your preferred match gender and email. Click the link in a verification email to finish with more basic information: birthday, location, username and password. At this point you are an official member of the site and free to browse around as you wish. To finish your profile, you can enter more information about your appearance, smoking habits, profession and children status. You can also write about yourself in a Profile Text box, write a Profile Title, and choose a DatingCafe quote to display, e.g. “Good mood, as far as the eye can see”. You can also customize your profile background, choosing between colors, floral patterns and images. DatingCafe doesn’t recommend any matches for you, so you’ll have to put the search functions to good use. Basic and Advanced searches are available, with all the basic filters that you’d expect from a dating site (gender, age, location, appearance, photo status, etc.). You can also search through profiles Now Online, New Singles, those you’ve added to your favorites, and your profile visitors. Once you’ve found a match, you have a few different communication options at your disposal. You can break the ice with a Sympathy Click (basically a short message, e.g. I like your photo, Your smile is great, etc.) or by adding them to your favorites. If you want to send an actual message, you’ll have to upgrade to Premium. A final option for communication is to answer the Question of the Week, found on DatingCafe’s homepage. An example of a question I saw on the site was “What makes you happy?”, with 7 answers to choose from (a romantic date, success at work, etc.) and a small text box available to explain your answer if you want. Single Events – DatingCafe organizes and hosts live events for its users, categorized into Active Fit (sports tournaments, climbing, etc. ), Date & Dance, Eat Drink (dinners, cooking classes, brunches, etc), Leisure Seekers (brewing tours, pub strolls, etc.) and Lifestyle (flirting seminars, etc.). Single Travel – You can also book travel trips through DatingCafe. Search by month, country, age-group and category (Ski & Mountain, Sun & Sea, Culture & Pleasure, Active & Fit, City Seekers and Remote & Tour). This seems like a really cool feature in theory, but even when searching from January to December, for all ages, in any country and any activity, I could not find a single available trip to look at. Finya is a dating site for residents of Germany, Austria and Switzerland. The site launched in 2001, has over 1 million members, and is completely free to use. This can have both positive and negative effects on your experience of this site. The positives are obvious: free is always in the budget! Yet, because it’s free, Finya tends to attract many fake and scammy profiles, and Finya keeps itself free by selling advertising space on the site, which many other users have reported as overly intrusive. I saw hardly any ads in my time on the site, however. Overall, Finya is a great site with an inviting design, solid features, and a huge pool of users to search through. If you’re on a tight budget and looking for some German love, make sure you give this site a try. Signing up is just two steps. First, enter your gender, preferred match gender, email, username, birthday and location. Second, check your email for a verification link. And you’re done. When you’re ready, you can finish filling out your profile by sharing your education, occupation, appearance, what you like and don’t like, and your favorite brands. You can also define who you are looking for, upload photos, and answer up to 100 questions, in 12 categories, including Love and Relationships, Lifestyle, and Character. When searching for matches, you have many filter options. There are all the basic filters you’d expect to see (age, location, photos, etc.) and a few unique options, such as whether they’re willing to relocate or their photo rating score. Another option is the Gallery feature, a Tinder-like feature which shows you photos of profiles to like or pass on, and you are notified when there is a mutual match. You can see all the profiles you have liked, and all those who have liked you back, in the Matching tab. You can also find profiles in the Voting section, detailed below. Communication features are basic but solid. You can add profiles to your favorites, start instant chats with users that are online, and send messages, which are text only. Unfortunately, there is no audio or video support for messages or chat. In the Voting section, you are shown two profile photos side-by-side, and you choose who you find more attractive. You can filter the profiles by age, and your selections are kept anonymous. Finya will calculate how attractive each profile is on a scale of 1-10, based on your and other users’ selections when using this feature. Note that you need to have a profile photo uploaded for your selections to be registered. A faded green dot means they’ve been online in the last 24 hours. Standard – Finya is truly completely free. OKCupid is known for relying heavily on user-provided data to find better matches for its diverse user base. This free service lets you answer as many or as few questions as you prefer, and it uses your responses to calculate good potential partners. Although OKCupid targets a massive international crowd, some German users have complained about the low quality. For instance, although having around 30 million possible matches to choose from seems great, the service’s free nature means you’ll probably have to filter through scams to find your next dream date or casual fling. I recommend you try OKCupid as a last resort if you have run out of options at the sites above. OKCupid lets users register via Facebook or create completely independent profiles. Everyone chooses a unique username and password, and at the start, you’ll be given a chance to write your own witty description and answer five basic personality questions. From there, all you have to do is “Like” three profiles so that the site knows what you’re looking for. Signing up doesn’t take long unless you really want to go all out. You can add photos, answer numerous questions and share in-depth personal stats or simply follow the default prompts to get to meeting people quicker. OKCupid has a pretty simple default interface that lets you browse through other users easily by photo, username, locations and age. Each profile listing also shows percentages. These numbers represent how well the site’s algorithm thinks you match or clash depending on the answers you’ve provided to the questions. In addition to checking out how others described themselves, you can get an idea of what sort of issues matter to them by browsing their profiles in detail. After finding someone you fancy or dislike, you can use the Quickmatch function to indicate how you feel. If two people like each other, the site lets them know. OKCupid makes it easy to communicate with someone by liking them, and those with Premium memberships can view their incoming likes. Or send a message using the free text feature. Bear in mind that people can see who viewed their profiles, so your subtle browsing is likely to attract notice. In addition to answering questions about your habits, preferences and sexuality, you can automatically filter out people who don’t fit the bill. For each question you answer, simply pick the responses you’d find acceptable from a potential partner. Although there are thousands of available questions, many users report that answering as many as possible helps them find better matches. These answers also let the site get a better feel for your personality. For an interesting look behind the scenes of the OKCupid landscape, you can check out the site’s development blog to discover more. As I mention in my online dating e-book, with all of the dating sites above, just like the real world, there will be women or men who you will not click with or who don’t respond to your messages (or just disappear). There will be women or men who might only be interested in helping you to part with your money. That is life. Just keep sending out messages and reach out until you find the person you are looking for and get success. As is typical with online dating, expect a response rate of around 1-10% depending on how good your profile is. (response rate = people who will respond back to you to whom you sent an introduction message).